Apart from the therapy skills you’ve mastered over time and your knowledge, a quality massage table is the most important piece of equipment in your practice. Without it you won’t be able to provide effective treatments using different massage techniques, so it’s crucial that you pick the best table on the market. The comfort is a must for your clients to receive the most benefits from their massage session. The table has to be a relaxing-dream-come-true, but it also has to be highly practical and fully functional so that you can really put your skills into practice. This will make each session a memorable experience and have your clients keep coming back for more. There are a number of features and options to consider when choosing a massage table and we feel it’s essential to cover the ones which will make or break a successful career as a massage therapy expert or a business which includes providing massaging services. Most people will make a mistake of choosing an entry level table for their reputable and well established massage services. Medium price range, decent quality massage tables are a good option for those of you at the very start of your career or those who are still learning and practicing. 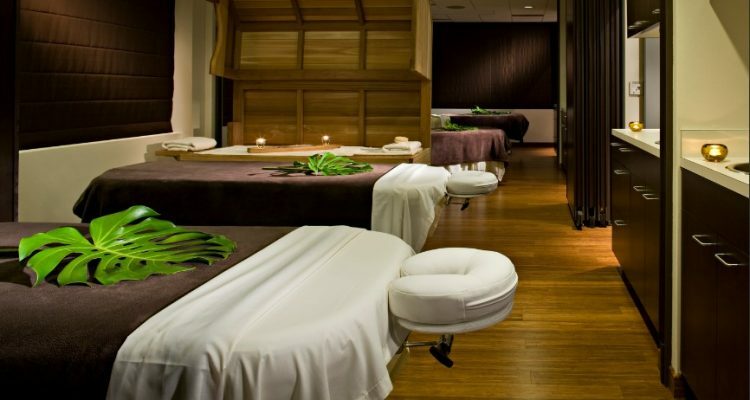 But if you have a spa center, a massage parlor, a gym which offers massage among other services or if you a professional, high-rate massage specialist you owe it to your clients and to yourself to get a professional table. It will allow you to provide excellent service and your clients will appreciate it and keep coming back. Why is a more expensive massage table a much needed investment? Choosing a cheap massage table will provide a mediocre or poor experience to your clients and harm your business reputation in the long run. In addition, cheap low quality tables often break and need to be replaced so you will have repeated unnecessary costs. So why not buy a professional table at the start? It will cost more initially, but it’s a one off investment which will show that you are serious about providing premium massage therapy and will certainly help you attract and retain clients. So, in terms of costs, a high end massage table will last a great many years of your professional career and will certainly pay itself off before you notice. It will also show your clients that you are professional and dedicated to providing exceptional massaging services. A good massage table needs to be wide enough so that all kinds of customers are comfortable, regardless of their body type, height or weight. This will allow you to provide an effective treatment without putting unnecessary strain to your own muscles and joints. The best table width for you will also depend on your training and abilities. Each therapist expects different features from their table. Since we presume that you are looking for ultimate quality but a range of different dimensions and features, we opted for three high end tables ranging from 22” to 32” in width. As for the length, the variations are 68”-73”, which will accommodate a vast majority of your clients. An adjustable face cradle added to the end of the table usually adds 8” on average to the total length. Since the face cradles are removable, they provide a lot of flexibility to your massage options. The height on all models is adjustable in the range of 17” – 37” so you can find the perfect height for each session and different techniques and tasks. The fact that the height is adjustable is very important if several therapists will be using the same table. The top of the range models we chose as professional permanent solutions are stationary and quite heavy for more stability and safety. The weight varies from 127 – 230 lbs. The weight capacity is 450 – 650 lbs. High quality dense foam will ensure that your clients’ get full support and comfortable massaging experience. Upholstery materials are most often PU, vinyl or artificial leather. They are built to last and the stitching needs to be able to endure all your massage sessions with no signs of wear and also provide easy cleaning. Heavy duty steel frames are used for maximum stability, support and durability. Mt 30” MaxKing is a perfect choice for massage professionals, day and health spas, gyms and sports clubs with massage services for clients and athletes and various resorts. It features the visually appealing Elegant Sewing Crafts and the sleek single column massage deck maximizes leg and knee room. It also provides therapists with much needed client access. This table offers exceptional strength and stability thanks to Heavy Duty Steel Frame. The electric lift actuator provides smooth and quiet height adjustments with an easy use to use foot pedal. This package includes an innovative ErgoCaptain Deluxe face cradle and LeafTalk face cushion. Measuring 30" width x 73" length x 24" to 35", the table itself weighs 230 lbs and has a working capacity is 600lbs. The corners are rounded to prevent injury. The four heavy duty lockable casters are designed for both rooting and moving of this masterfully crafted high end massage table. The 3.5 inch exclusive Multi-Layer Small Cell foam is significantly denser than average foam and provides additional comfort for your clients with its pressure point relief feature. Coupled with healing, soothing and relaxing effects of your massage sessions, the comfortable deck will provide your customers unforgettable massaging experience that they will certainly want to repeat regularly. The PU upholstery is oil and water resistant and super easy to clean between the sessions. The free set of accessories includes the innovative ErgoCaptain Deluxe Face Cradle and LeafTalk Face Cushion. 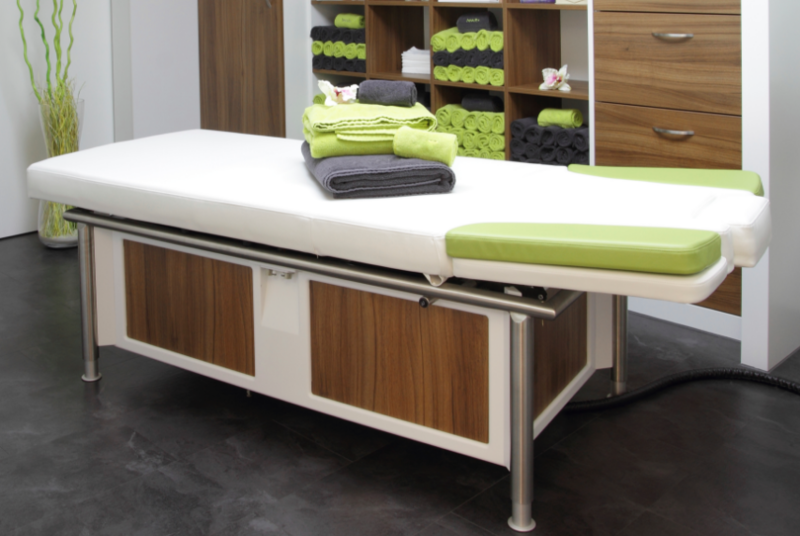 If you are looking for great value and excellent functionality of a professional premium quality massage table, Mt 30” MaxKing is a great option so do give it a serious consideration for the benefits of your clients and your massage service. Club 270 by DevLon NorthWest comes preassembled out of the box so you will be up and running this sturdy and yet elegant professional table in minutes. The top choice for your stationary massage tables, Club 270 is an excellent option for massage therapists, physical therapists, chiropractors, and body workers in general. The heavy duty constructions with all the professional features the Club series has to offer such as a strong construction, stable and comfortable deck and easy adjustments makes Club 270 a must have for multiple body work practices. This table features Accelerator pelvic drop with Drop levers on both side of the table as well as 5-inch elevating pelvic feature. It also has a 35 degrees tilted pneumatic headpiece and ankle extension while the comfortable and slick looking deck comes supported by a sturdy powder coated steel frame. Stationary armrest and a paper roll holder and cutter are two more cool features of this model. This is an elegant, reliable, and robust but super comfortable piece of massaging equipment every client will enjoy and every specialist will appreciate for its exceptional functionality. The working weight is 450lbs and the decks’ thickness is 3”. The deck comes with multi-layered sponge system to ensure maximum comfort. If you are of shorter stature, you may do better with this table as it’s a tad narrower than the standard with. 68.5” long, 22” wide and 20” tall (height is adjustable, mind you) and 127 pounds in weight might be just the right table dimensions for you. EARTHLITE Everest offers professional resort and spa treatment functionality and comfort in a minimalist and elegant package. A perfect choice for professional massage specialists and day spas, medi-spas and resorts, this sleek single pedestal maximizes leg and knee room giving therapists much needed client access while providing exceptional strength and stability at the same time. The reliable electric lift actuator provides smooth and quiet height adjustments via easy to use foot pedal. This whisper quiet and ultra-reliable electric actuator for on-demand height adjustments is a truly convenient feature of this high end table. Non-electric economical pneumatic assisted lifting system will not fail you and Earthlite’s proprietary One-Touch™ Levers will offer power assisted back and leg adjustments even while your client is on the table. EARTHLITE Everest also features premium Pro-Plush™ deluxe cushioning with 3”, triple density system for ultimate comfort. The buttery soft and eco-friendly Natursoft™ upholstery is pleasant to the eye and enjoyable and comfortable to the body. The beautifully rounded corners are stylish and comfortable for therapists. They will certainly appreciate the manufacturer’s efforts to avoid possible injuries when hitting the sharp corners.